Let’s talk about chairs! You’ve probably never ever gotten excited about chairs, but hear me out. When we think of the typical design of chairs it goes something like this. Four legs. Sturdy back. Cushy seat. Possibly armrests. And if you’re lucky, it reclines. But we have something even better than just a chair. Yay! A bag! Okay, so here’s the explanation. We all know what a bean bag chair is. Loved them as kids. Watch our own kids play in them. Maybe we’ll jump into one every now and then as adults. But we should be sitting in them every single day. And here’s why. In this article, we’ll be talking about the benefits of bean bag chairs, and how to choose the best chair for you. Also, there will be some who’s who of bean bag chairs and where to get them! And now the why. For one they’re just comfortable. You really can’t go wrong with a bean bag chair. Endless sitting positions and a relaxingly squishy bag that conforms to your body. It’s the never-ending memory foam of chairs. Health: Normal chairs can cause strain on the body, forcing you to stay in one position. This never happens with a bean bag chair. 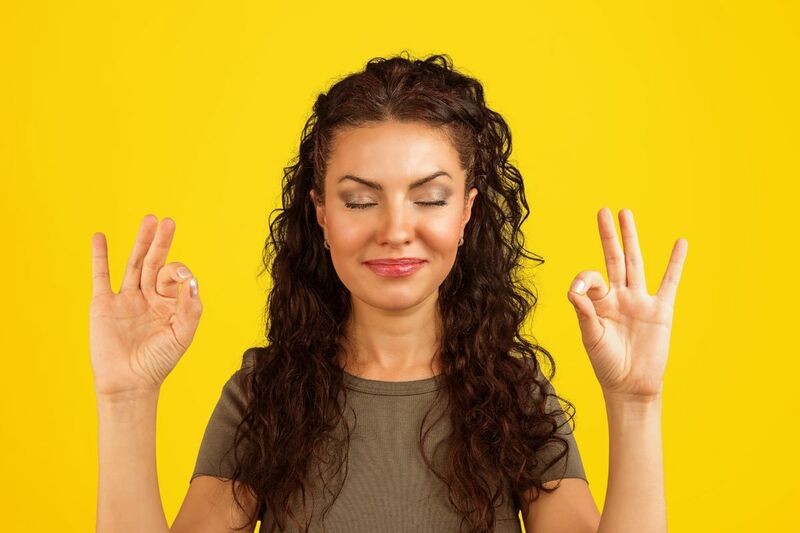 Relaxation: With that strain gone, the body can relax, no longer having so much pressure on one area. Affordable: Bean bag chairs come in a price range from about twenty dollars to a little over a hundred. There is an affordable bean bag chair for everyone. Space: Bean bag chairs don’t take up as much space as regular chairs do and they’re easily portable, meaning they can go where you go. Snug: Did we mention they’re comfy too? There are plenty more reasons to get a bean bag chair, but these are our favorites. Stressful Days: Sitting in a bean bag chair can fully relax the body, letting the mind go to ease as well. Aching Days: The bean bag chair can help you stretch out painful parts of the body as well, without putting too much pressure on one area. Too Much Company: Bean bag chairs are great for when you have a ton of people over. They’re easily moved and everybody loves them. Gaming: If you or a loved one is an avid gamer then a bean bag chair is for you. Or them. But it’s the best choice for gamers. Easily shift from side to side and stay involved in the fantasy. Every Day: Bean bag chairs have so much purpose and styling behind them that they should clearly be used every day. We all have to take into account certain things before buying a bean bag chair. For starters the style, price, size, and make of the chair itself. Style: Not only are bean bag chairs comfortable, but they’re a great styling piece to add some fun to every home. 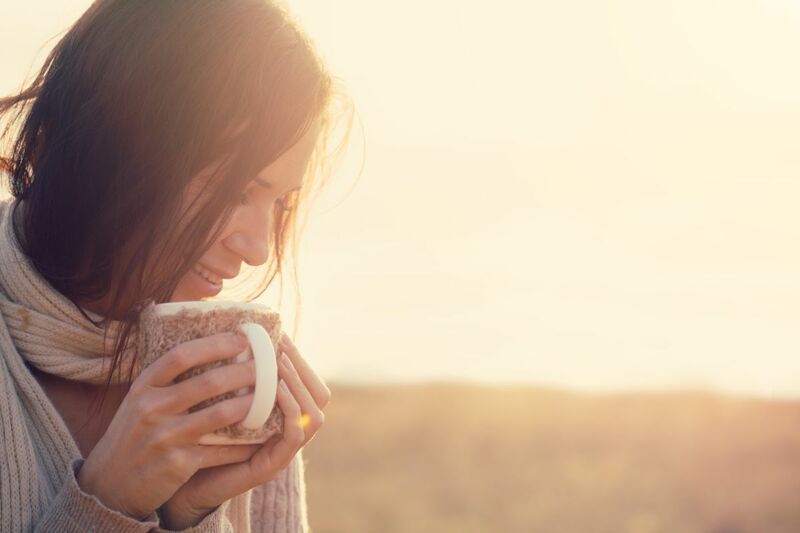 It’s a whimsical twist that not many people will expect, but it works. Price: Always keep an eye on the budget when shopping. Bean bag chairs can get expensive, but they don’t have to break your wallet. Size: As stated before, most bean bag chairs are for children, so always check the dimensions to make sure that the one you’re buying, fits you, not a tiny human. Make: Not every bean bag chair is alike. Some are just bags you plop on the floor. Others have an actual chair shape to them. Choose the one that fits you best. Bean bag chairs are great anywhere in the home. They fit right in and can be moved about. Just be cautious and watch your expenses. Bean bag chairs come in many different styles, but so do their components. Some chairs are stuffed with memory foam or bits of foam altogether. Others are filled with beads, beans or styrofoam balls. Their covers are also diverse. Some are a stretchy, plastic-like spread while others are a super soft fleece. Think about what you want to be sitting on when you buy one. 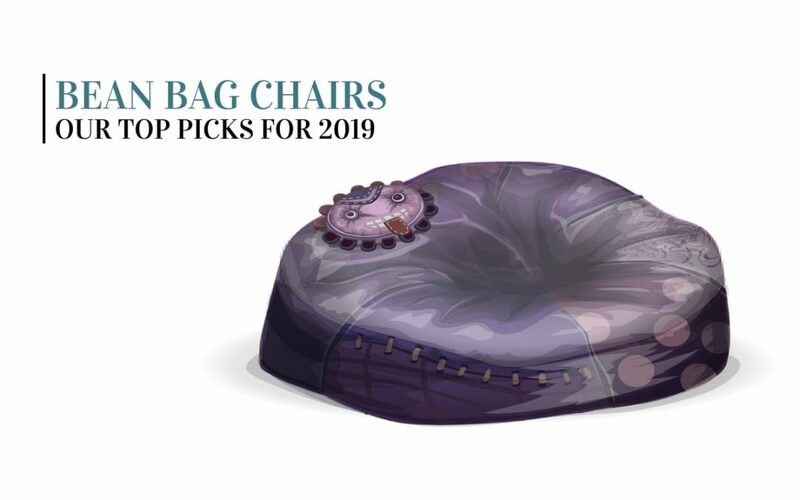 Speaking of buying, here are our top five picks for bean bag chairs! The look of the Tear Drop Bean Bag Chair is about what you’d expect. It’s shaped like a raindrop. But it can conform to the body and support the back. It’s vinyl and made in the U.S. Although it does come smaller than most bean bag chairs, the company manufactures them in large and extra-large as well. Given that it’s made of vinyl, it’s easy to clean up and is more durable for extra use. 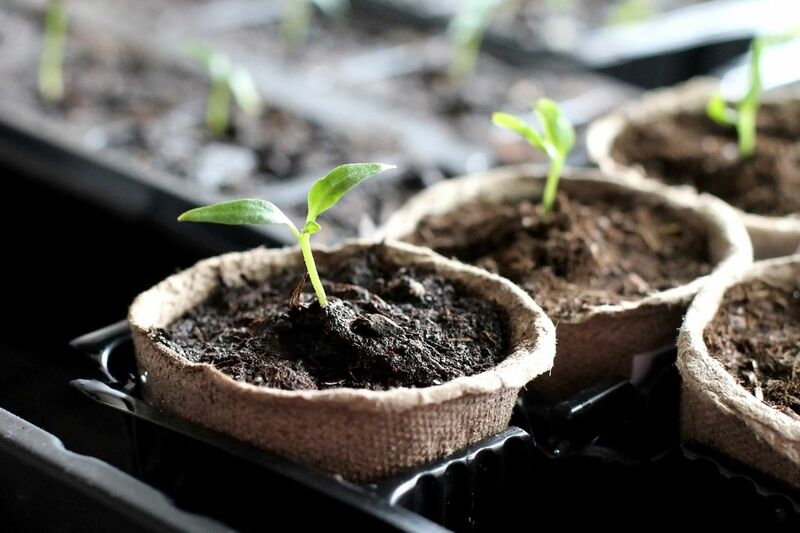 The Tear Drop Bean Bag Chair is filled with virgin expanded polystyrene beans. What this means is that it’s comfortable, and will support your weight, without losing the desired shape. 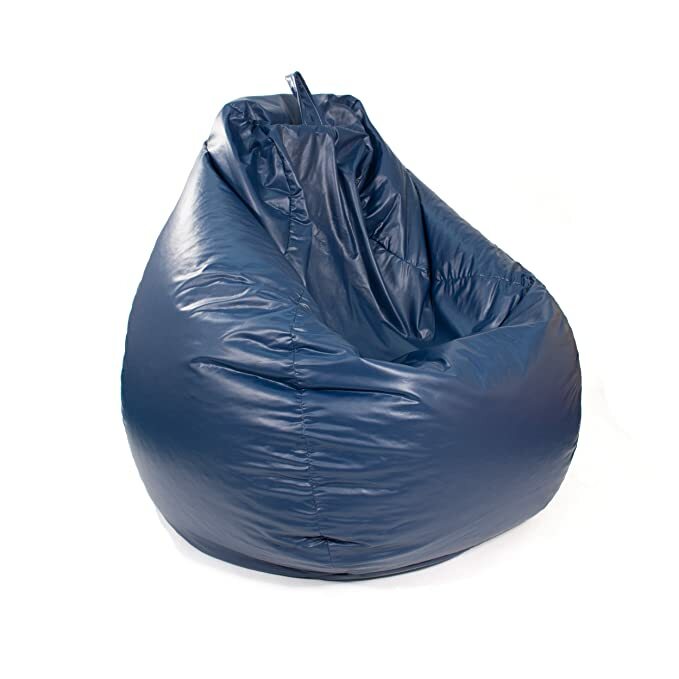 The Tear Drop Bean Bag Chair is perfect for the active home with lots of company. While the Tear Drop Bean Bag Chair does come at some cost, it is well worth the dent in your wallet, especially in the active home. This bean bag chair comes in more of a stool shape. Except it has back support too. If anything, it’s like sitting on a soft stump that conforms to fit you. The Lumin Chair is made with SmartMax fabric, meaning it’s durable, water resistant, and can easily be cleaned. The filling is UltimaX beans, which move to support you and the beans are 100% recyclable. This chair is also refillable if needed. Covers are double stitched to prevent ripping at the seams and come with two safety-locking zippers to make sure the filling stays on the inside. The Lumin Chair is great for hanging out and being with loved ones. Overall, the Lumin Chair is comfortable and good for many purposes, including get-togethers and celebrations. If you’re a college student or really like gaming, this is the chair for you. The Dorm Bean Bag Chair is made with SmartMax fabric, making it stain and water resistant, easy to clean, and very durable. The cover is double stitched to make sure that the filling stays inside. The filling is UltimaX beans, that are recyclable, and can be refilled. The Dorm Bean Bag Chair comes with a built-in handle for easy moves, and pockets for holding anything from phones to game controllers. 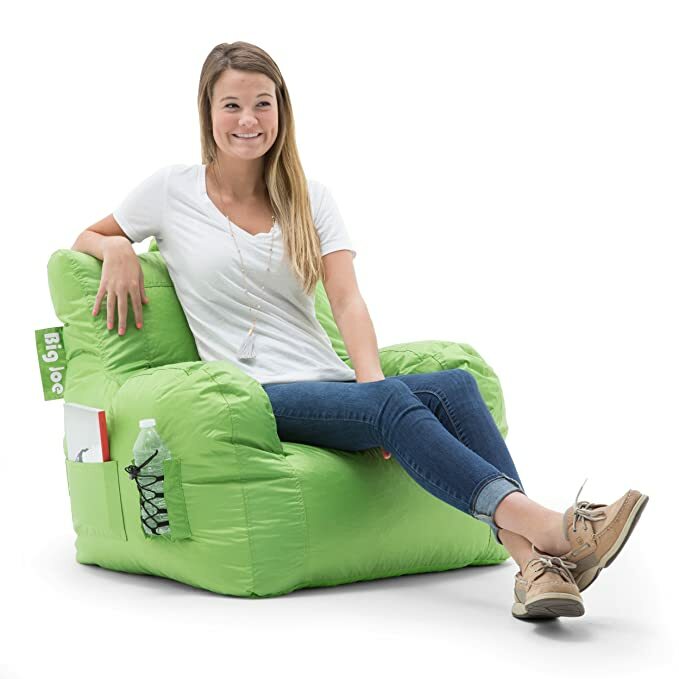 The Dorm Bean Bag Chair is simply perfect for the young adults of today. The Classic Bean Bag Chair is just that, the classic chair. It will move easily to support you and can be put anywhere in any shape. 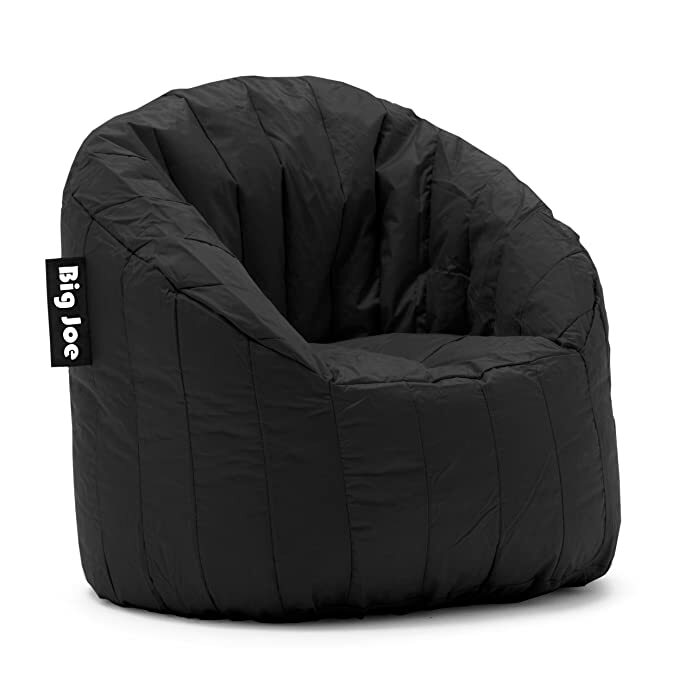 The Classic Bean Bag Chair is made from high-quality cotton and polyester to stand up to rough use. 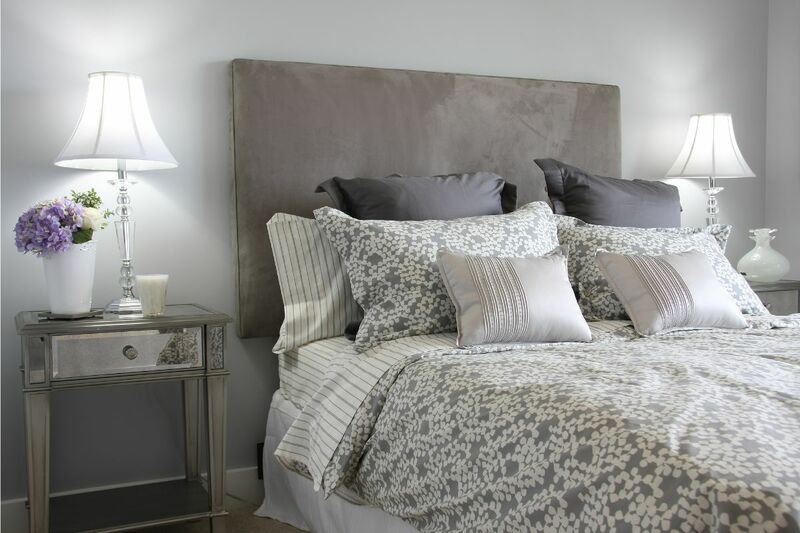 The slipcover can come off for easy washing and handling. This fabric is also UV protected for up to 1000 hours. It’s filled with recycled polystyrene beads, which are not only durable and comfy, but also environmentally friendly. The Classic Bean Bag Chair is perfect for moving about and staying comfortable wherever you are. 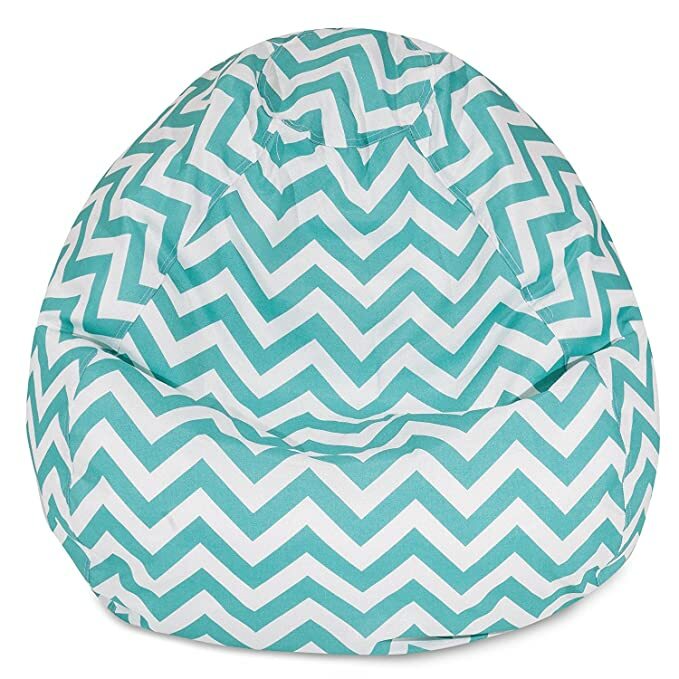 The Chill Sack Bean Bag Chair is worth the extra money for the extra comfort it gives. It is extra-large, made with double-stitched Microsuede fiber that is super soft and easy to clean. It’s also removable for easy wash. 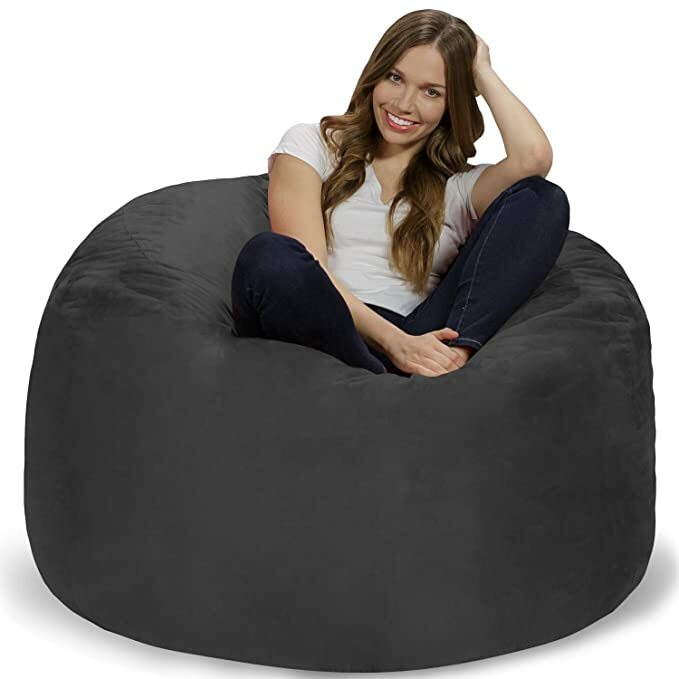 The Chill Sack Bean Bag Chair is filled with shredded memory foam that’s durable and longlasting. The shredded memory foam also conforms to your body to relax every muscle and make sure that no pressure is applied to one targeted area. The Chill Sack Bean Bag Chair is perfect for cuddling up in the evenings with a cup of tea and a good book. The Chill Sack Bean Bag Chair is great for everyone and you just might fall asleep in it too. Bean bag chairs are a definite must-have item for every home. They can be sturdy and soft. They’re easy to clean and easy to move, unlike traditional chairs that require some heavy lifting. And some come at not so high prices. They’re affordable and supportive. Support is what chairs are all about and bean bag chairs deliver. From kids to adults, when it comes to letting of some steam sometimes, bean bag chairs are perfect for everyone.